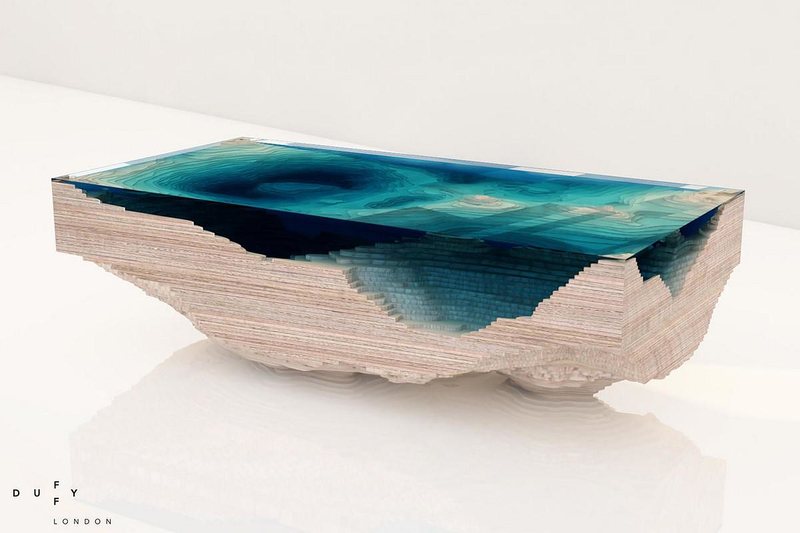 HomeBlogHome DecorHandmade Abyss Table by Duffy London. 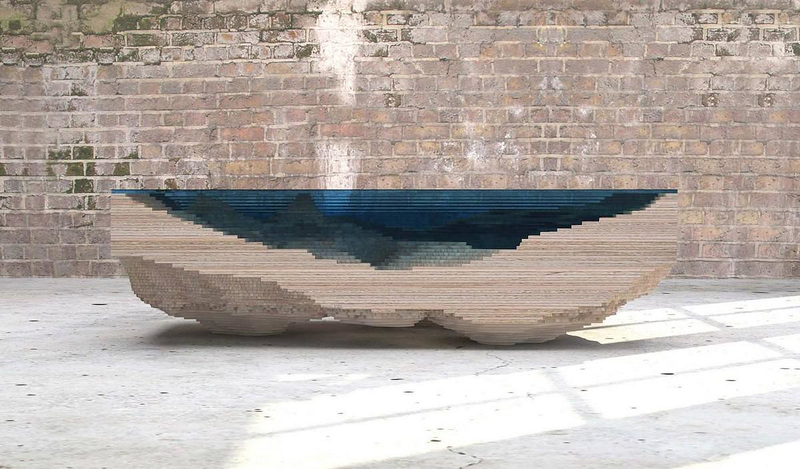 In this spectacular design an underwater marine landscape reveals itself through a layered construction of wood and glass. 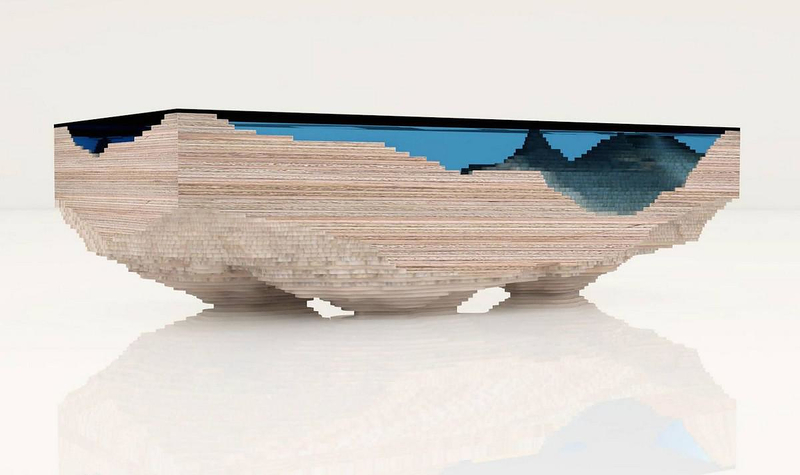 The Abyss table stay true to the design philosophy of its creator, a philosophy that dictates the combination of the eye-catching effect of an artwork piece with functionality. 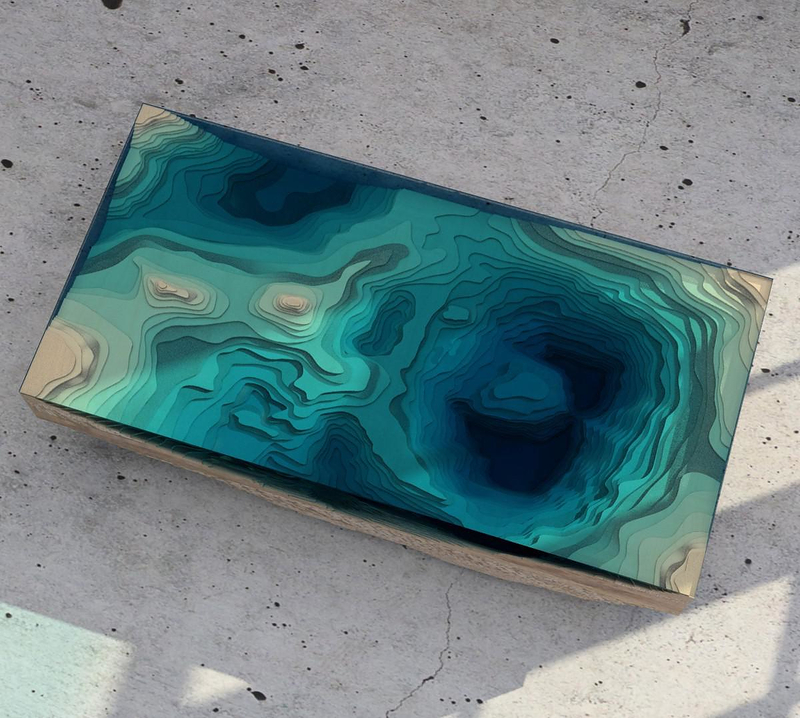 The Abyss table is a handmade glass piece of furniture that plays with depth and creates a geological cross-section as mesmerizing as the sea. 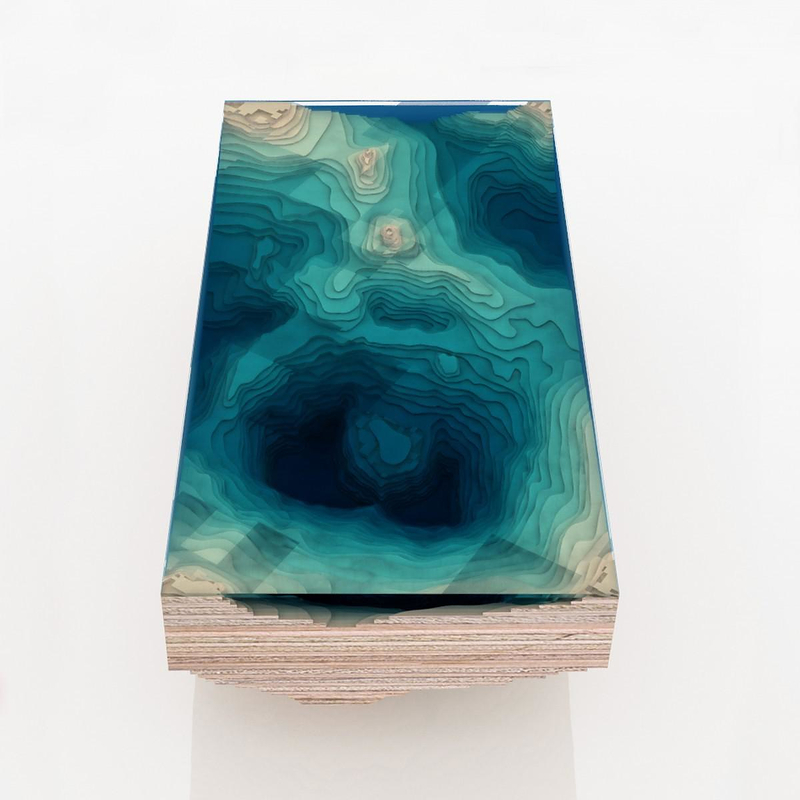 Christopher Duffy and the design team of Duffy London spent a year developing the table, experimenting with sculpted glass, Perspex (a type of acrylic material) and wood, arranged like a 2D representation of a geological map. The result is a mesmeric abyss that captivates the eye and relaxes the mind the same way as the sea view does. The Abyss coffee table is made of high grade wood from Forest Stewardship Council managed forests and other controlled sources and glass. Duffy London was founded by Christopher Duffy in 2002. He holds a design degree of the University of Brighton. His design process begins with an idea and combines art and function. 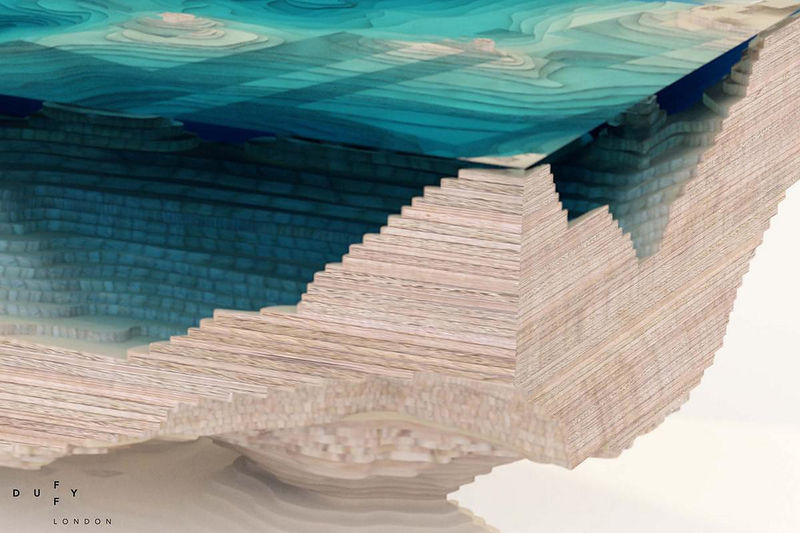 His designs play with the concepts of gravity, geometry and illusion. Boasting strong eco-credentials, everything is handmade to order by skilled craftspeople in the UK, using sustainable wood and other eco-friendly materials and mediums. 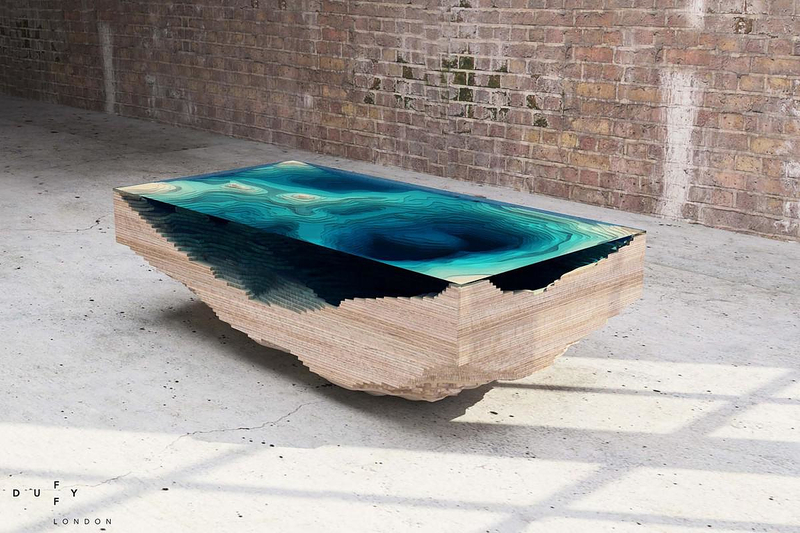 The Abyss table by Duffy London is a limited piece with just 25 editions.